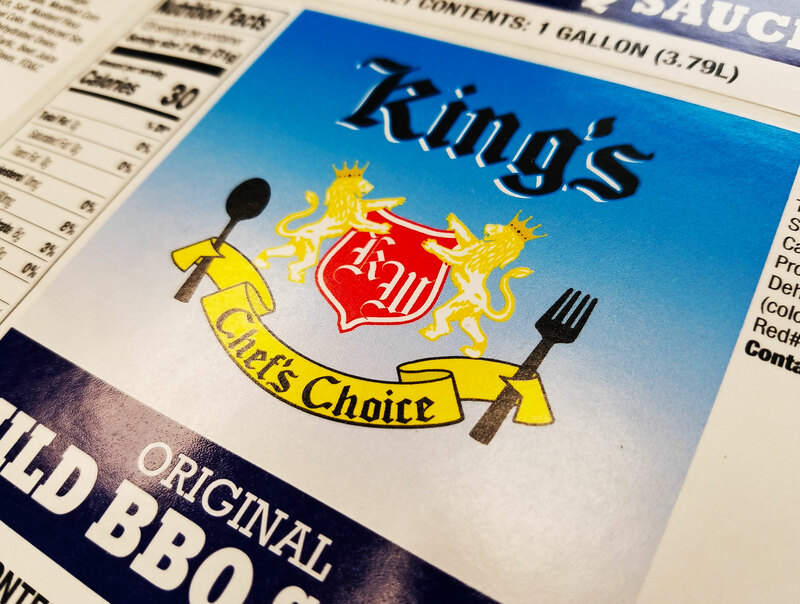 Digital / Flexo Hybrid Labels: The best of both worlds. Digital printing technology in the label industry is growing everyday. With the ability to print short, responsive runs while offering low sell prices, gives both printers and buyers an advantage…but what are the “sacrifices”? The answer may be none, depending on your goals. But given the ever-present “color critical” objectives of every digital label job that gets printed, digital technology still can only offer so much. Digital presses print everything in CMYK, or 4 color process, giving some spot or PMS colors less of a chance than others to be matched properly. Say you have an image that needs more blue, well if you add more blue to the image, you’ve then added more blue to everything on the label. Troublesome, if your corporate colors were intact before that…now everything has been altered to make that image more blue. How do you choose what to do split the difference on? How can you mitigate this “ripple” effect in digital color management? Printing flexo gives your project the best chance to hit those PMS colors with more accuracy. (Dedicated plates for dedicated colors) But if you have a short run or any vairbale data among your SKU’s, all the advantages of running digital will be lost in plate and set up charges. Enter the digital / flexo hybrid label solution. 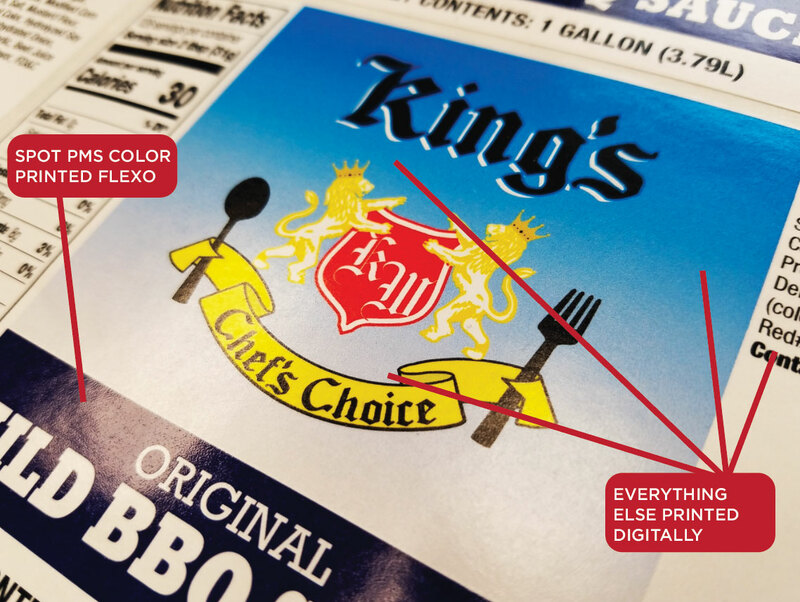 With a digital printing device mounted to the flexo press, you keep all the digital advantages while designating areas for flexo spot colors. To see a press run these labels check out the resource are below. You can also request samples to see if digital/flexo hybrid labels are a fit for your label project. See a digital / flexo hybrid labels press run here. Circle back with us in a couple of weeks when we go into the finer points of this hybrid label printing technology. Thanks for reading!